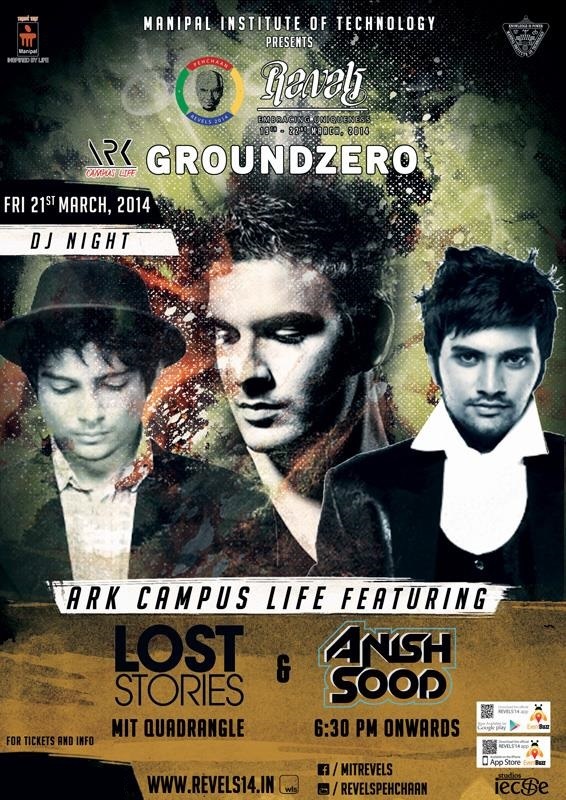 The much awaited Ground Zero Proshow event, which was a part of Manipal Institute of Technology’s cultural fest ‘REVELS’, featured Anish Sood and Lost Stories– two promising names in the Indian EDM Industry. The show began with two students from the college itself opening for them. The crowd which included students from MIT and other participating colleges burst into some crazy energy once Sood and Rishab Joshi from Lost Stories stepped in. Prayag Mehta, the other half of Lost Stories couldn’t make it but the duo of Sood and Joshi definitely made up for it. Part of their lineup were hits like ‘Greyhound’, ‘Wake Me Up‘, ‘I love it’, ‘Animals’, ‘Spaceman’, ‘Numb’, ‘Levels’ and ‘The Spark ( Lost Stories Remix)’ to name a few. 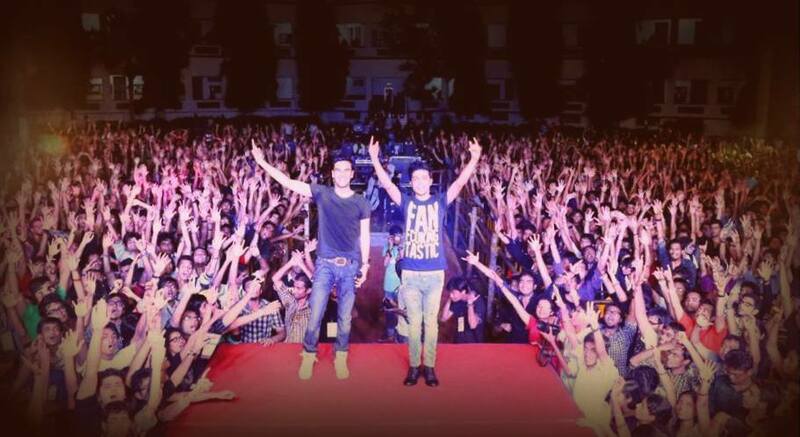 The Goan based Anish and Mumbai based Rishab played together in Manipal for the first time. This was also the 1st edition of the ARK Campus Life Lineup. Prayag and Rishab, who met over the internet and shared their passion for Electronic Dance Music began collaborating together in 2008. With support from some of the top DJs in the world like Afrojack, Tiesto, Avicii, Armin Van Buuren and Above & Beyond, they’re already leaving a mark in the international EDM Scene. Their debut album “Music for the Generation” was released in August 2013. Anish Sood on the other hand, rose to fame in 2011 with frequent performances at music festivals and other public events. Anish has performed with Steve Aoki, Laidback Luke, Fedde Le Grand and also David Guetta himself. Sood has also released two EPs with Ramona Arena – Wanna Be Your Only Love (2012) and Hello World (2013) under 925 Music. 22nd March: Trifles (TSEC), Mumbai. 23rd March: Symfiesta 2014, Noida. 29th March: The Blue Blazer, Chandigarh. Previous article Bananas And Champagne for India ! Next article Submerge presents Coyu India Tour!